Surgery in your future? We know what you’re probably thinking: Just knock me out. Here, however, dermatologist A. David Rahimi, MD, discusses why you should strongly consider local anesthesia instead of general anesthesia for your cosmetic surgery. After my dermatology residency at Mount Sinai Medical Center in New York, I embarked on a year-long fellowship program to learn the different aspects of cosmetic surgery. I worked with brilliant surgeons from a variety of disciplines: facial plastic surgeons, general surgeons, plastic surgeons and ENT specialists. I received my training at a large and busy outpatient surgical clinic with two operating rooms, two recovery rooms, two hyperbaric oxygen chambers and 10 examination rooms, which were staffed by 40 nurses, physician assistants and estheticians. It was a rich and amazing experience that taught me a great deal about surgery. During the latter part of my training, I witnessed what was going to become a life-changing event. 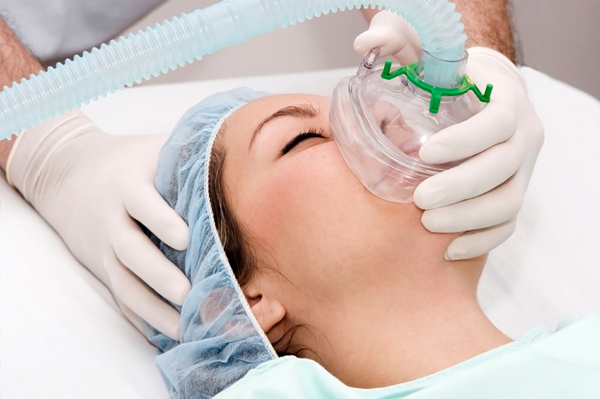 A patient undergoing a simple fat-transfer procedure by another surgeon developed an adverse reaction to the general anesthesia and crashed. She stopped breathing, and her heart had to be restarted by the emergency medical personnel pouring into the operating room. The surgeon hadn’t even started the surgery yet. The next 10 days were among the most difficult of my life. To see this young patient on life support fighting for her life changed the way I approach cosmetic surgery. I truly believe that her strong faith in God and the capable doctors at the local hospital saved her life. Miraculously, she fully recovered. I had to make a choice: Give up my passion — becoming a great cosmetic surgeon — or find a different and better way of doing surgery. I then spent the next 10 years perfecting the art of cosmetic surgery under local anesthesia. I found that less invasive is better, and local anesthesia with mild sedation is all that is ever needed. The patient wants to look her best self, not like someone else. Most patients will choose local anesthesia if the surgeon spends the time and effort to explain why it is better, safer and more cost effective. I truly believe that all types of cosmetic surgery can and should be performed under local anesthesia. I recently published a book that describes and shows results from hundreds of procedures performed this way over the past 10 years. Many lives can be saved by performing cosmetic surgery under local anesthesia. There are still risks with the administration of local anesthesia and surgery: bleeding, infection, unsightly scars, etc. I believe these risks are much smaller and more manageable, especially when not complicated with the major additional risk of general anesthesia. I want patients to understand that they have a choice and can have most, if not all, cosmetic procedures under local anesthesia. I hope that my fellow colleagues will be open minded enough to give this approach a chance.